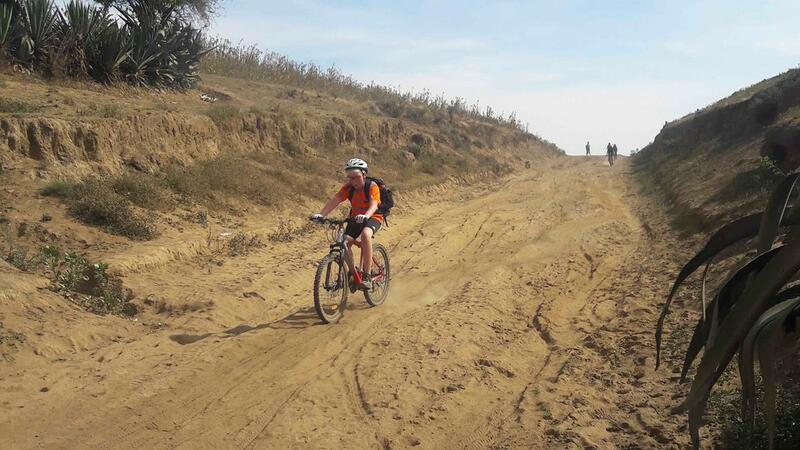 Alvar races away, down a dusty track on last weekend’s Mountain Bike OP Level 1 trip with Miss Larpent. As we go into the mid term break we can reflect on the multitude of accomplishments this half of term. One of the biggest must be the integration of all our new teachers, parents and of course students. 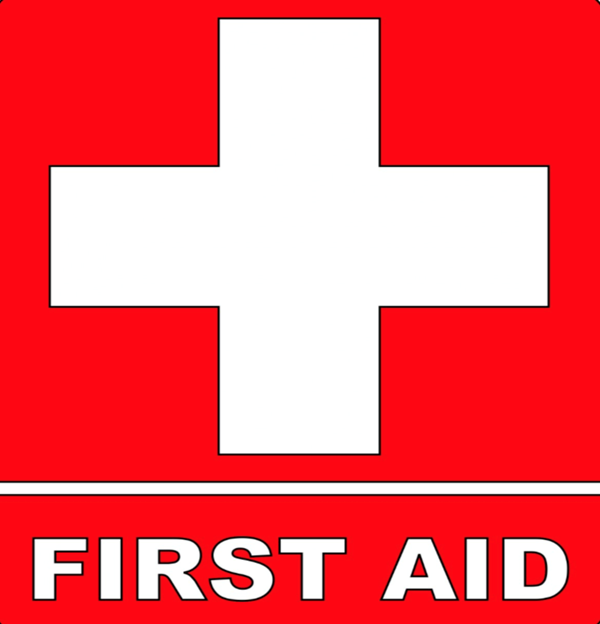 Coming to work, live and study in the environment of a new school can be a daunting and even traumaitic time. Some people find the transitions easier than others and that can be down to all sorts of issues such as language barriers and how well prepared the environment has been. Regardless, I would like to extend a heartfelt appreciation to all those who are ‘new’ and remind every single one of you that you are doing a terrific job. Talking of new comers, I would also like to welcome our new PTA Executive team! Bravo to Gustaaf Hendrik (Chairman), Monica Dunstan (Vice-Chair), Michel Allard (Board Representative) and Anoek van der Vinne (Secretary) for being elected to their new positions. They join Mark Blackett (Treasurer) who is carried over from the outgoing Executive. The outgoing PTA did such a wonderful job and I am sure this new team will be as successful. 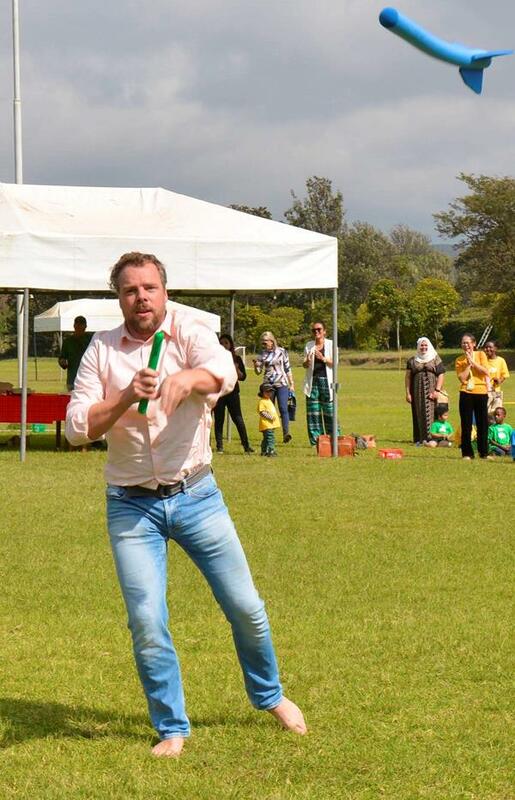 The elections are so recent that I do not even have a team photo so the picture is of Gustaaf competing in Thursday’s EC-P2 Sports day right, will have to suffice! Thank you to Marcel Gulpers who has been teaching P3 for the whole of this quarter. Marcel will be concentrating on his role as teacher at the Dutch School which operates out of ISM. Finally, a huge good luck to Ghaidaa and Maggie today as they attend TEDx Majengo. I hope it is a memorable day. They will be joined by Desire (also D1) who will be performing a poem that she has written. Desire will, I guarantee, bring the house down with her performance. She wooed the crowd at Friday’s Assembly with another one of her poems. Amzanig performer. Good luck to all three of our D1 girls – could we wish for three better ambassadors of our school – I think not! I wish everyone a fantastic break and dont forget that we will all be back in school on Monday 22 October, for Quarter Two. We regret to inform everyone that the swimming pool will be closed for the whole of Saturday, October 13th 2018. We have reached the end of Quarter One for 2018-19, with an extremely busy and exciting last week: PYP inter-house sports on Tuesday with P3-P6 and Thursday with EC-P2, PYP 3-way conferences on Wednesday for EC-P6, an international university fair on Monday for M5-D1, not to mention the completion of MAP testing for P4-M3. Added to this have been our normal myriad of lessons and activities across the whole school – no wonder we are all ready for a well earned rest. With the conclusion of all MAP tests, we will now be able to issue the results to P4-M3 parents. These will be sent out via email once the final results are available; we anticipate this being early in the week beginning 8 October. Thanks to everyone for making this quarter so successful: our teachers, educational assistants and ancillary staff. Without everyone working together we would not be able to make ISM Arusha the amazing place that it is. 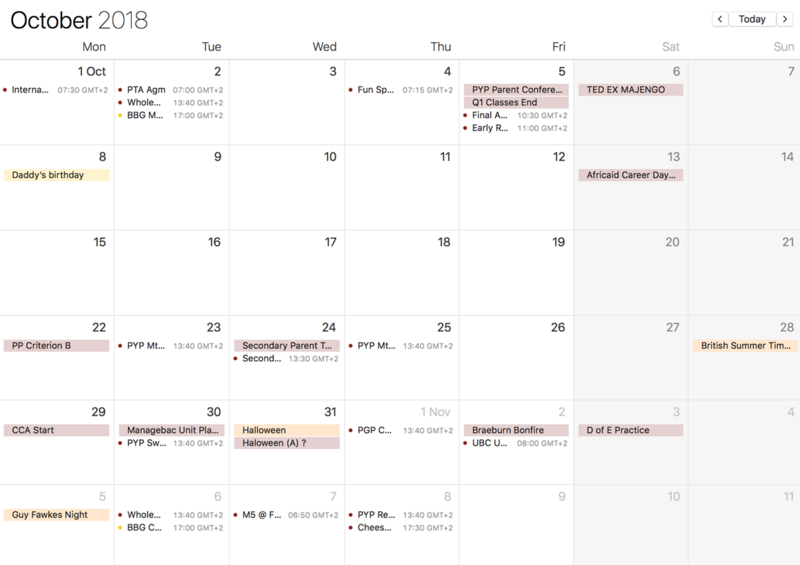 Next quarter starts off with M1-D1 parent-teacher conferences on Wednesday 24 October (details in with the Quarter One reports) and then the OP Level 4 Ngorongoro – Lake Natron trip (25-29 October). NTAA sports continue with swimming, athletics and netball, to name but a few. 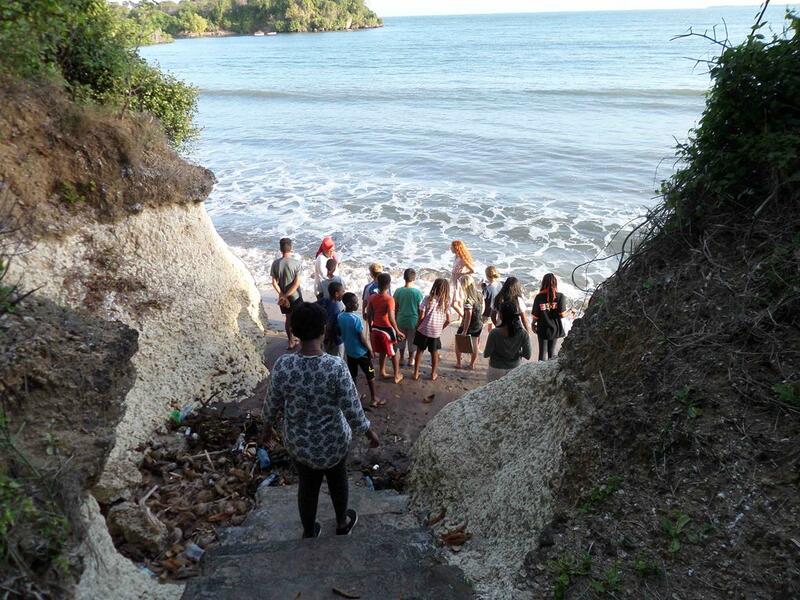 The M2 Classes form both Moshi and Arusha find their way down to the beach from the ISM’s Pangani House. Our inquiry question was ‘What human and non-human factors have influenced the identity of Pangani?’ We went to Pangani from the 24th September to the 27th September. The classes we went for were Maths and Individuals and Societies (I&S). In I&S we learned about the history of the buildings and about the people who lived there, by creating a timeline. We also studied geography by looking at the waves action on the cliffs and coastline. In maths we learned how to use a clinometer to measure the height of the cliff, and we also recorded the tidal patterns using a trundle wheel. All of these influences have made Pangani the way they are today. Linking I&S and Maths together has made us understand these connections. 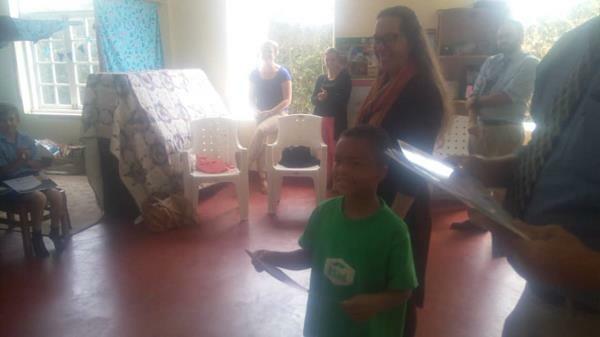 On Friday the M1 students spent their English class sharing their folktales with the students in EC-P2. After a rotation of stories, the younger students discussed their favourite story and what the moral of the stories were. Santiago is pictured above telling his story to the little listeners! Outdoor Pursuits: New mountain –biking trip! 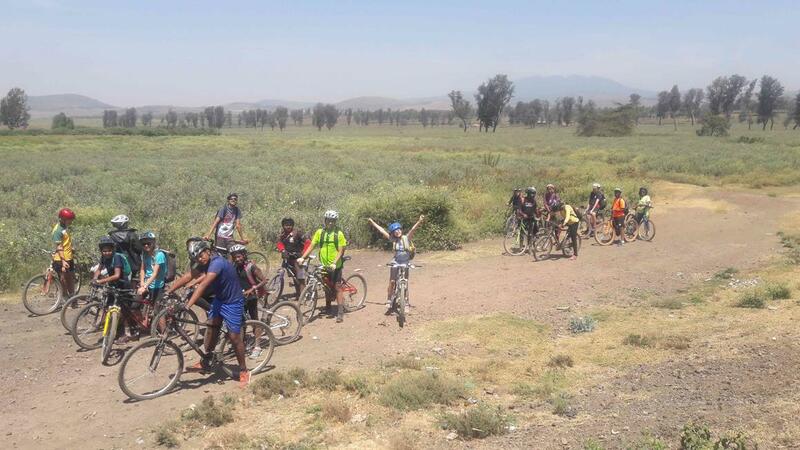 Our OP programme continues to grow with a new mountain-biking trip offered last weekend to Kilimamoto Crater. 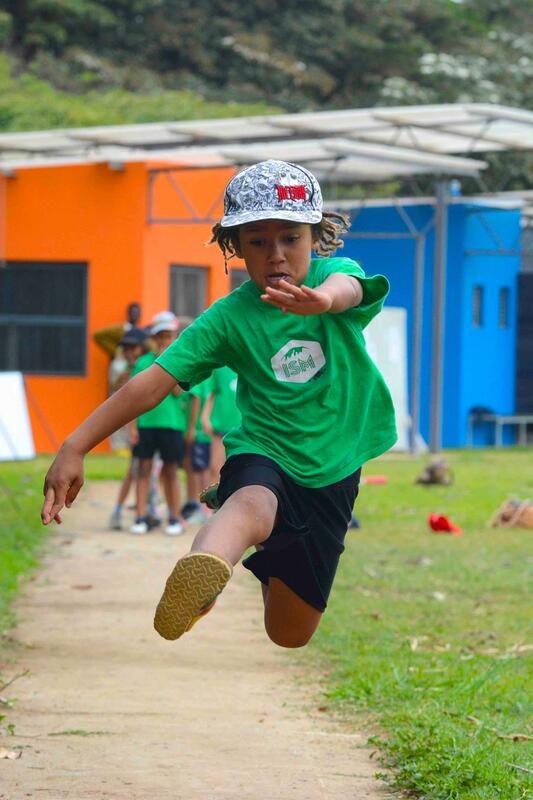 Karim demonstrates consummate technique in his long jump attempt for Mawenzi House. This week we have been very busy with our athletics programme and arranged two House competitions for P3-P6 on Tuesday and EC-P2 on Thursday. Great fun was had by all. 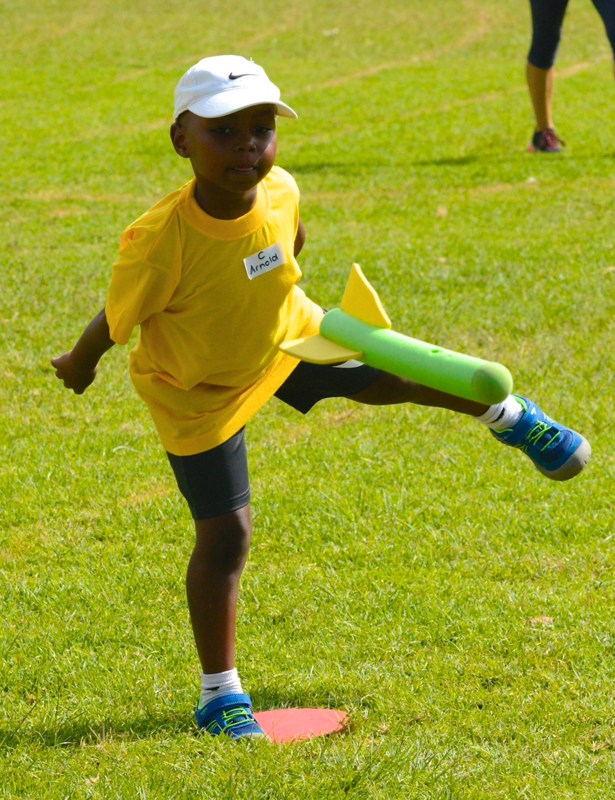 Everyone was a winner on the day but the winning houses were Meru (P3-6) and Mawenzi (EC-P2)! 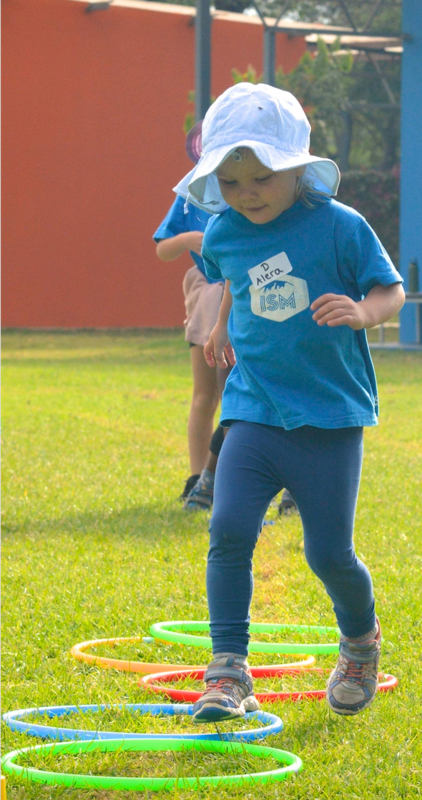 Alera shows fierce determination in her quest to rack up points for Kibo House. This last week there was a Chess Competition held at the Christ Church International school in Arusha. Our very own chess champ, Moses, was in action representing ISM. Here is a picture left of Moses receiving his certificate. 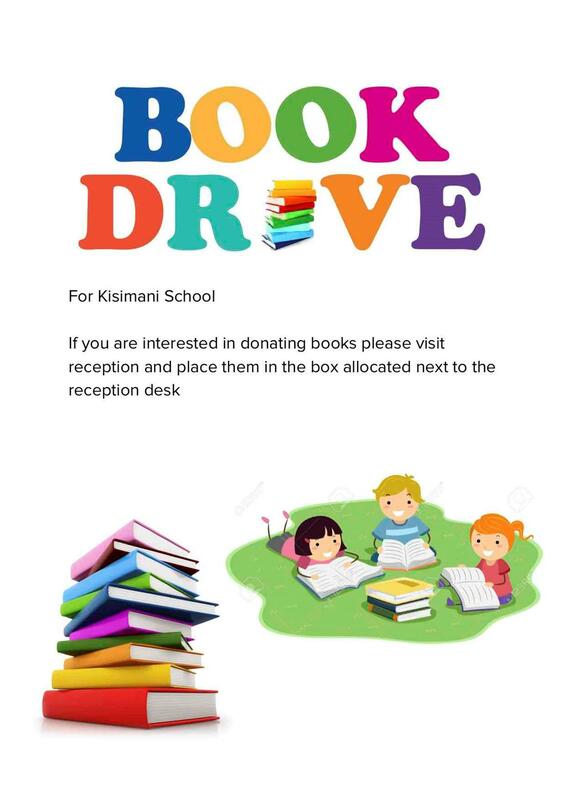 Many thanks to Chess teacher David for leading this initiative at ISM. 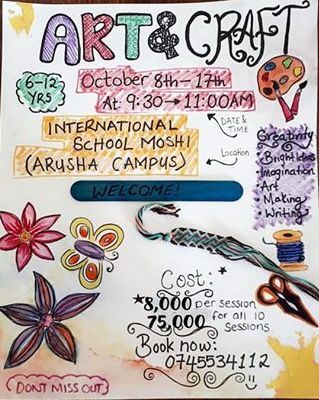 Art and Craft during the Mid Term Break?